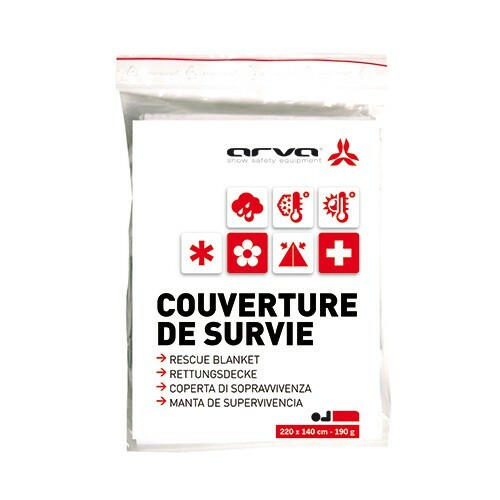 Rescue blanket very strong and waterproof metallized polyethylene film. Reflects 90 % of the infrared radiations. Protects from cold, heat, rain, dampness and wind. Very strong and waterproof metalizzed polyester film. Reflects 90% of the infrared radiations. Do not use during storms.